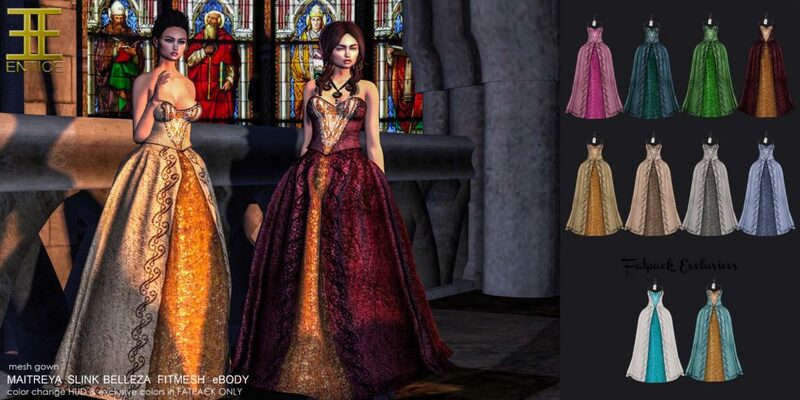 Entice has released the “Carmina Burana” dress for the September round of We <3 Roleplay! The dress comes in Maitreya, Slink (Physique, Hourglass), Belleza (Freya, Isis, Venus), eBody, and Classic Fitted Mesh sizes. You can choose from eight individual colors, or, get the fatpack of ten which includes two bonus colors! Visit We <3 Roleplay for this gorgeous dress today! Entice @ The Imaginarium! Entice @ The Liaison Collaborative!